Will Microsoft Azure Catch On With MSPs? Microsoft's new cloud service -- known as Azure -- has multiple implications for managed service providers and the IT channel. Microsoft’s new cloud service — known as Azure — has multiple implications for managed service providers and the IT channel. That’s a pretty generic statement. So, what exactly is Azure? Let’s take a closer look. Although Microsoft doesn’t mention MSPs by name as an Azure target, it’s clear many MSPs are also Web developers and systems integrators. Generally speaking, Azure is a software cloud hosted in Microsoft data centers. Think of it as Microsoft’s answer to Amazon Simple Storage Service (S3) and Amazon Web Services. And in other ways, Azure is Microsoft’s answer to Ingram Micro’s Seismic services for MSPs. 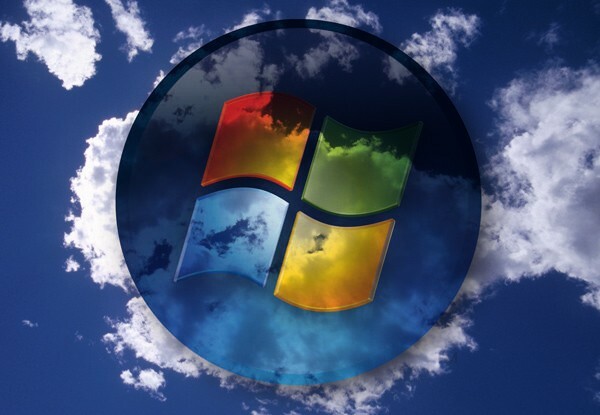 Think of Azure as a new version of Windows running in a Microsoft cloud. The Azure platform will host services involving SQL Server, SharePoint, Dynamics CRM and so on. But Azure is not a “hosting” platform for applications. Rather, Windows Server continues forward to host those applications. Can You Trust Microsoft’s Cloud? Will Azure work as advertised? I’m skeptical for a few reasons — but I’ve also learned not to bet against Microsoft. In the 1990s when skeptics dismissed Microsoft’s Windows NT Server and BackOffice strategies, the software company managed to topple both Novell NetWare (completely) and Unix (partially). Can Microsoft repeat that success in the cloud while striving to compete with Amazon, Google and other growing cloud services? I’ll offer a “definite maybe.” Skeptics point out that Microsoft’s core expertise is developing software — not running data centers and hosting applications. But don’t forget, Microsoft has quietly built an on-demand cloud for XBox Live. Thousands of gamers are hooked on those online games. And it’s a safe bet Microsoft’s XBox Live team has taught the Azure folks a few lessons about the right — and wrong — way to build cloud services. Where do MSPs and VARs fit into Azure? Ideally, MSPs will be able to plug their customers into multiple back-end cloud services (Amazon, Google, Microsoft, etc.). We’re already seeing companies like Vembu linking their managed storage software to Amazon’s S3 service. The same trend will occur in the Windows world, where thousands of on-premise application developers will rewrite their applications to communicate with Azure. It will happen. But remember: It took about seven or eight years for Microsoft to build its Windows NT and BackOffice businesses. Microsoft doesn’t have the luxury of time as it strives to compete with open source SaaS, Google and all the other clouds on the horizon. These are most of the services in the new MSFT BPOS (Biz Productivity Online Suite) program as well thats being released in November to the partners. btw, Joe did you get my email about the article in my trade mag yesterday? Hey Stu: I’m in transit from Australia to NY but will give the email a look over the weekend. Sorry for the delay. If Azure is not a hosting platform for applications (other than their own), how do you see ISVs benefiting from Azure? thousands of online gamers? Try over 14 Million Xbox Live subscribers. Microsoft knows a thing or two about hosting. Distinctive: you caught me in an error on that one. No debate, XBox live is a huge hosting win for Microsoft. But the company also has had hosting setbacks in other areas (email certainly comes to mind).